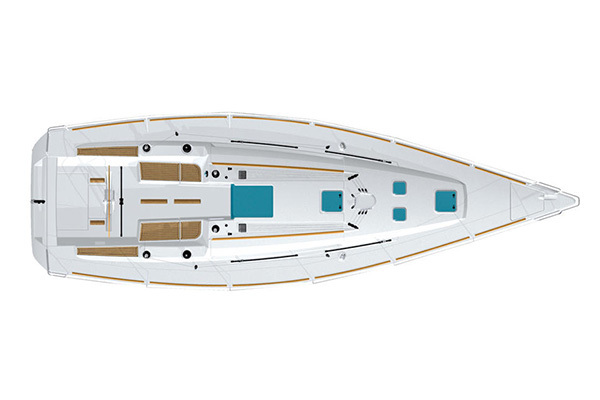 The Beneteau First 40 was designed by Bruce Farr to replace the iconic First 40.7 cruiser/racer. The First 40 has been on the British race circuit since 2010 and is now established as the number one choice for performance charter. She is a bigger and faster boat than the 40.7 and, unlike the de-tuned 'F40' charter version of the First 40, which has a smaller rig and shallow draft, Winston is a full regatta version complete with triple spreader rig, deep keel, high tech sails, symmetrical spinnakers and asymmetrical gennaker, carbon spinnaker pole and carbon wheel. She is easy to sail fast in round-the-cans and distance races, and with crew practice she is a proven winner in contemporary, competitive fleets. 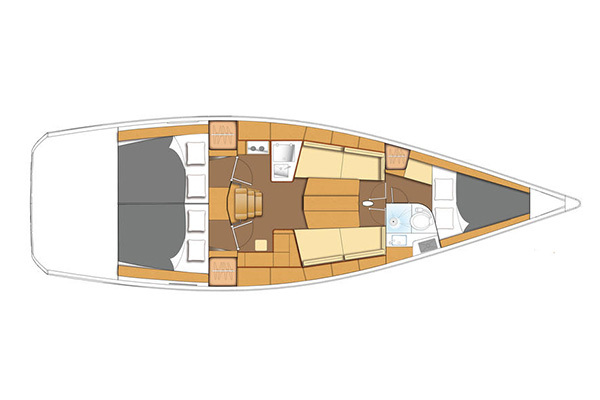 Winston is equipped for staying on board, with three cabins, toilet and shower, hot and cold pressurised water and a fully equipped galley including a fridge. She is easy to sail and a safe, stable vessel suitable for private charter and novice corporate sailing under the guidance of our highly experienced and fully qualified skippers and mates. For team building and key executive development programmes we work closely with award-winning training partners Consult-smp. Her racing sails are by Hyde, and deck gear is by Harken. She is MCA coded and equipped with all safety gear for inshore and offshore racing and passage-making.